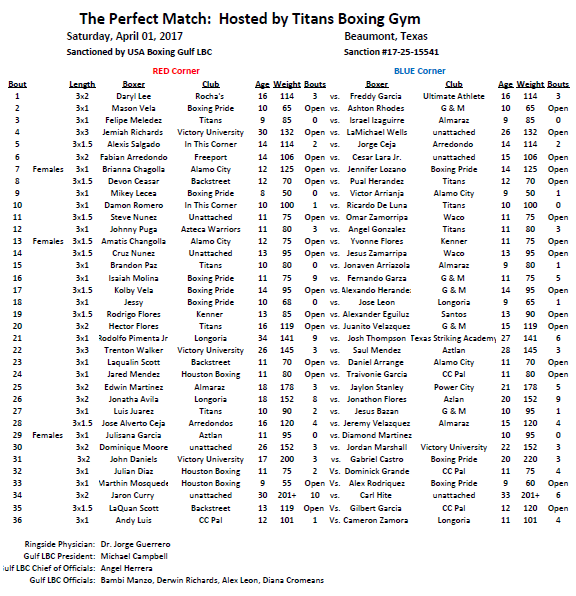 Titans Boxing Gym Present: The Pefect Match. In Rumba Night Club in Beaumont, TX. 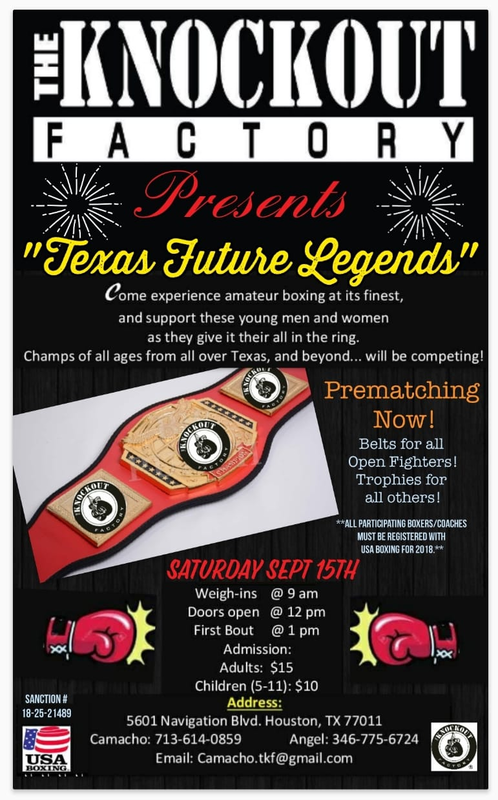 The Weigh-ins starts at 10:00 AM, the physicals start at 12:00 Noon and the first bout starts at 1:00 PM The winners are going to receive a Championship Title Belt. 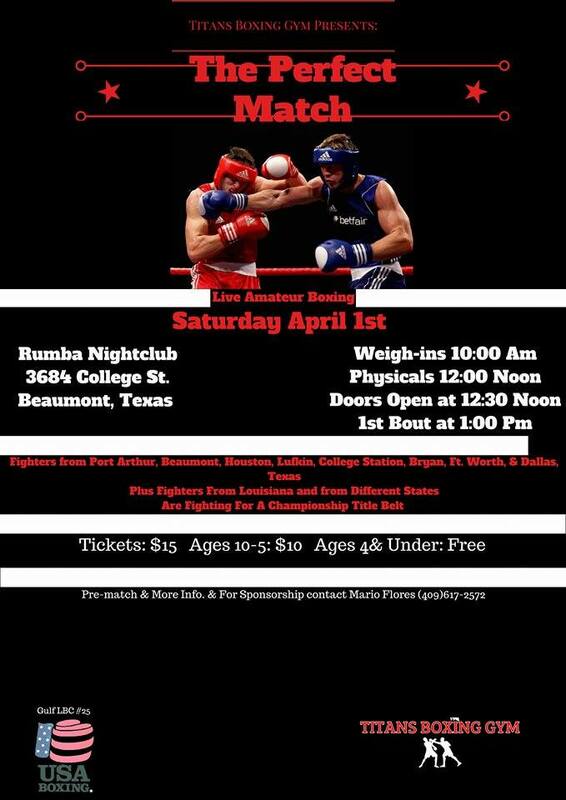 For premacthing call Mario Flores (409)-617-2572 or email at ernestoboxeo@Gmail.com to send your list. Coaches, Make sure that your information is complete. 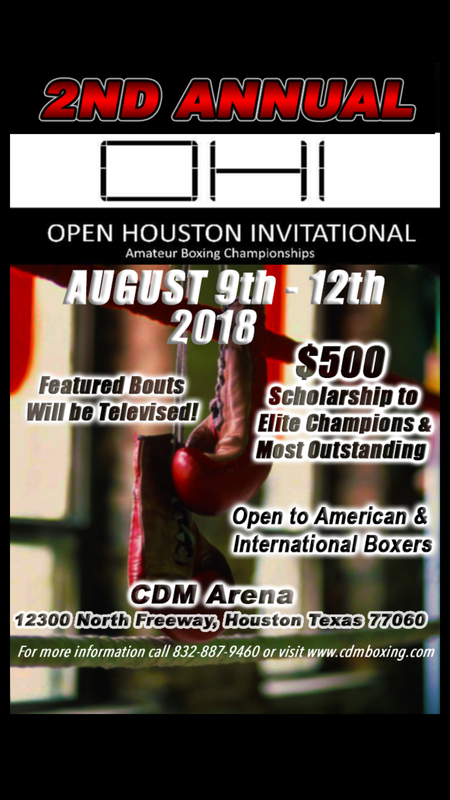 Boxer’s Full name, club, age or DOB, weight or range, division or number of bouts, plus your contact info number or email. What’s the lowest m. Torres can go? 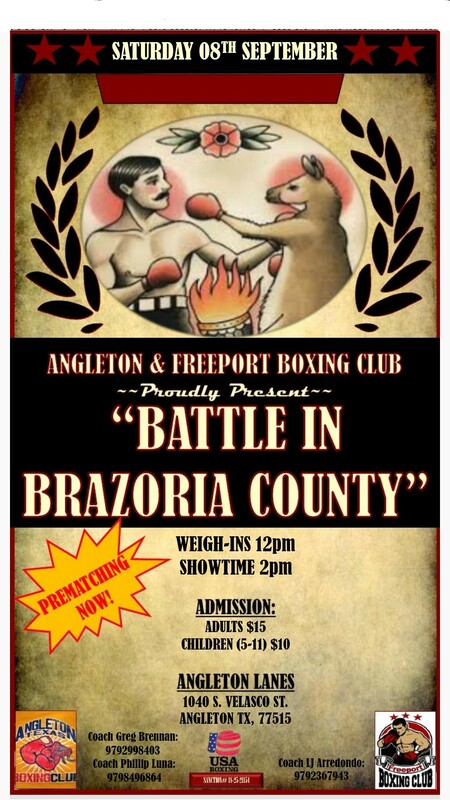 Coach Ced, I have Desiree Castillo,10 yrs old ,77 lbs,2 bouts.Can we match with Magdalena Torres for April 1st? sorry coach magdalena hasn’t been to the gym .maybe at a latter date. 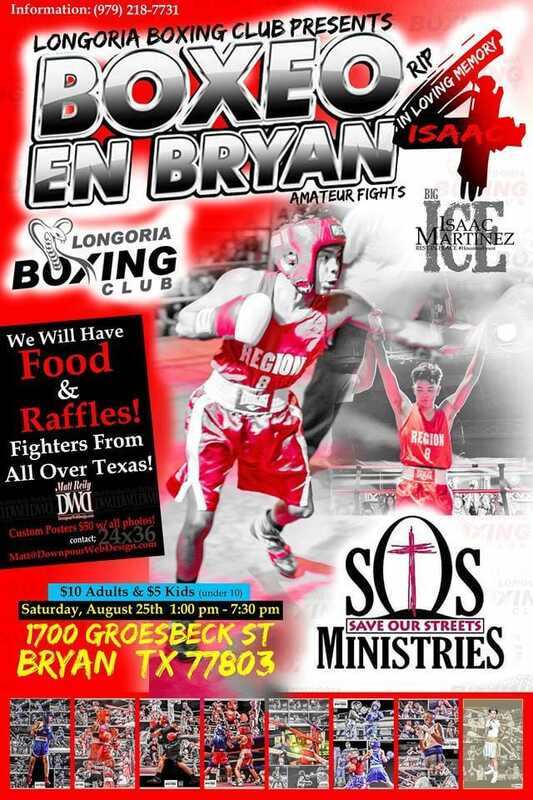 Also have Johnny Puga,11 yrs old,77 lbs,8 bouts for Fernando Garza. 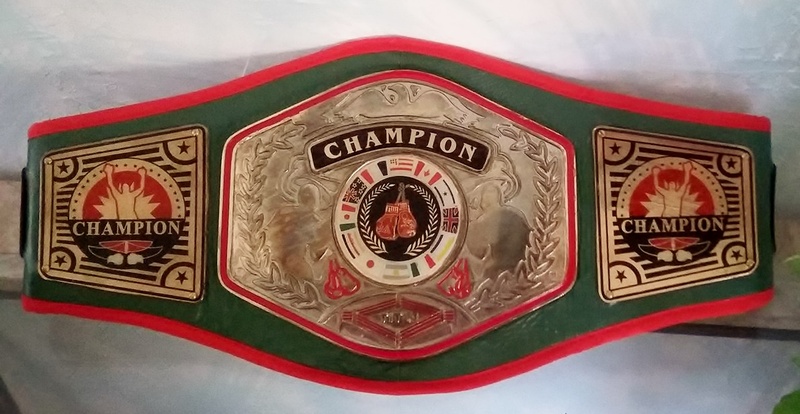 3.Robert Castillo,11 yrs old,102 lbs,8 bouts. 4. 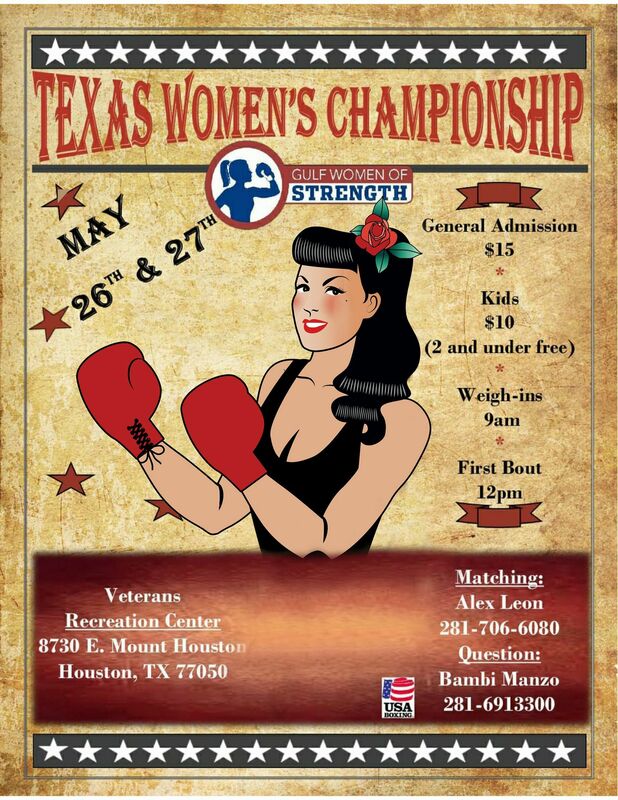 Desiree Castillo,10 yrs old,,77lbs,,2 bouts.